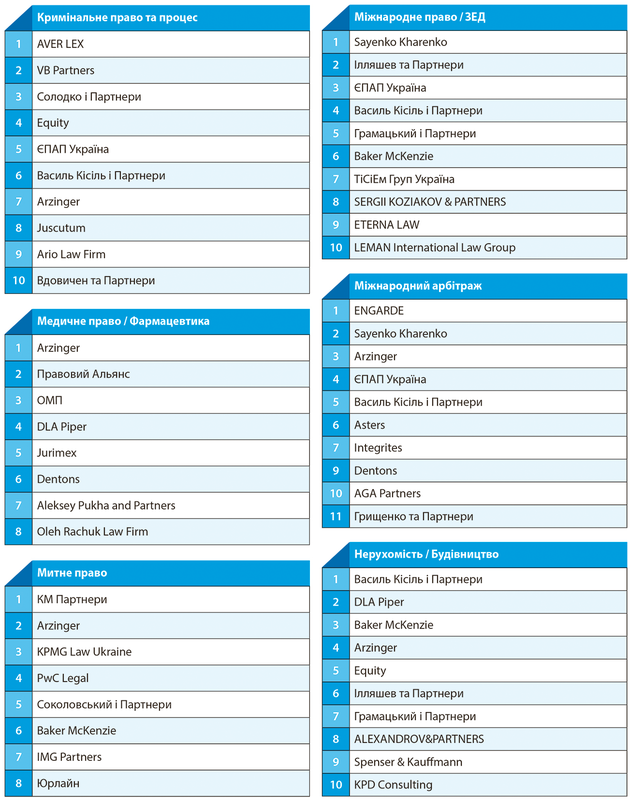 Юридичний рейтинг «The Legal 500 - Europe, Middle East & Africa 2018» – рекомендує Юридичну фірму ОМП та партнера Ігоря Огороднійчука як експерта у сфері корпоративного права, злиття та поглинань :: Юридична фірма "ОМП"
Law Offices of OMP provides focused and reliable advice on corporate matters and M&A deals in the agriculture and pharmaceutical sectors. The Clients Guide «The Legal 500 - Europe, Middle East & Africa 2018» recommends Law Offices of OMP and its partner Igor Ogorodniychuk, as experts at commercial, corporate law and M&A. Law Offices of OMP well known in the CIS legal market and as the most dynamic full service Law Firm on Ukrainian legal market. The firm founded in 2007 and currently employs over 35 lawyers boasting thorough legal knowledge, broad expertise and profound understanding of the Ukrainian market. OMP provides legal assistance to both domestic and international clients. OMP is a full-service legal practice with particular industry focus in pharmaceutical business, agriculture, construction and development. The working languages of our firm are Ukrainian, English, German and Russian. Law office of OMP is one of the leading full service legal advisors to agribusinesses in Ukraine. We are experienced in advising agricultural holdings and private landowners. Our specialists have been advising farms of different sizes and locations in all regions of Ukraine since 2005. We have audited over 2,000,000 hectares of agricultural land over the last several years. We have been involved in major M&A projects in the industry. Our experts have profound experience in supporting litigations and arbitrations involving agribusinesses, both in Ukraine and abroad, including LCIA arbitrations.